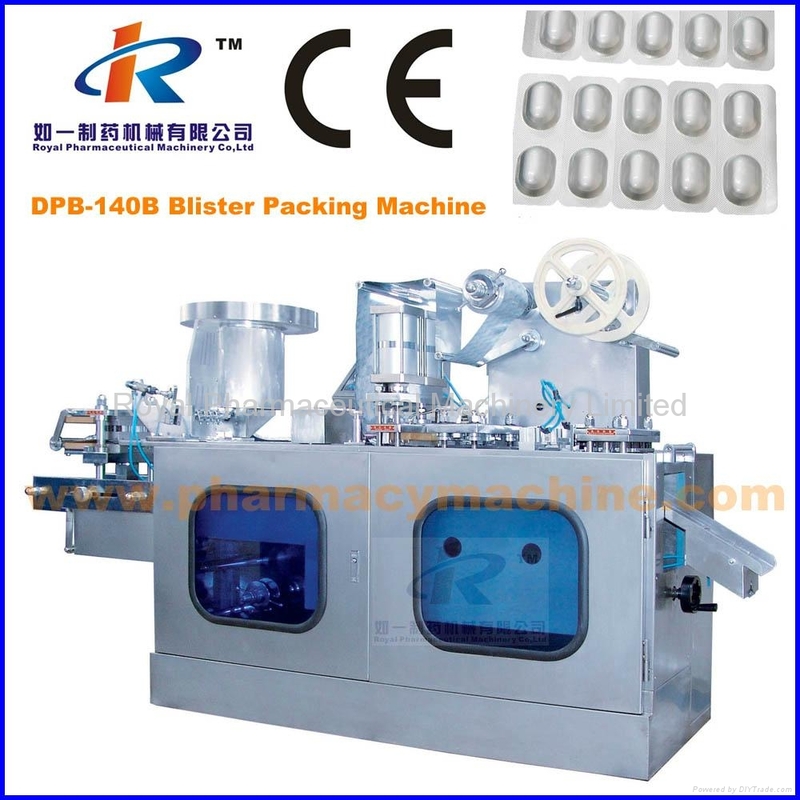 DPB-140B pharma alu alu blister packing machine is suitable for capsule, tablet, big honey pill, candy, liquid, paste, one injector as well as irregular shape Al-plastic, paper-plastic composite and Al-Al sealing packing in pharmacy, healthcare, food, cosmetics, medical equipment industry etc. 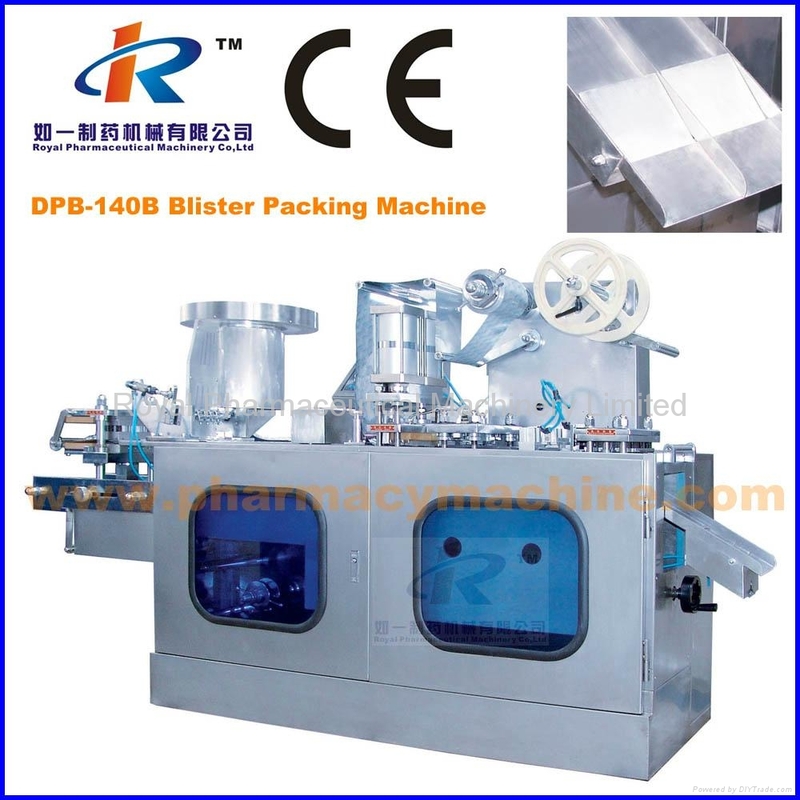 DPB-140B pharma alu alu blister packing machine is the latest scientific products for pharmaceutical factory and healthcare factory as well as foodstuff factory; it can check on-line and eliminate the waste plate by itself. The machine adopts frequency converter and the whole system was controlled by PLC, which can be operated in man-machine interface. 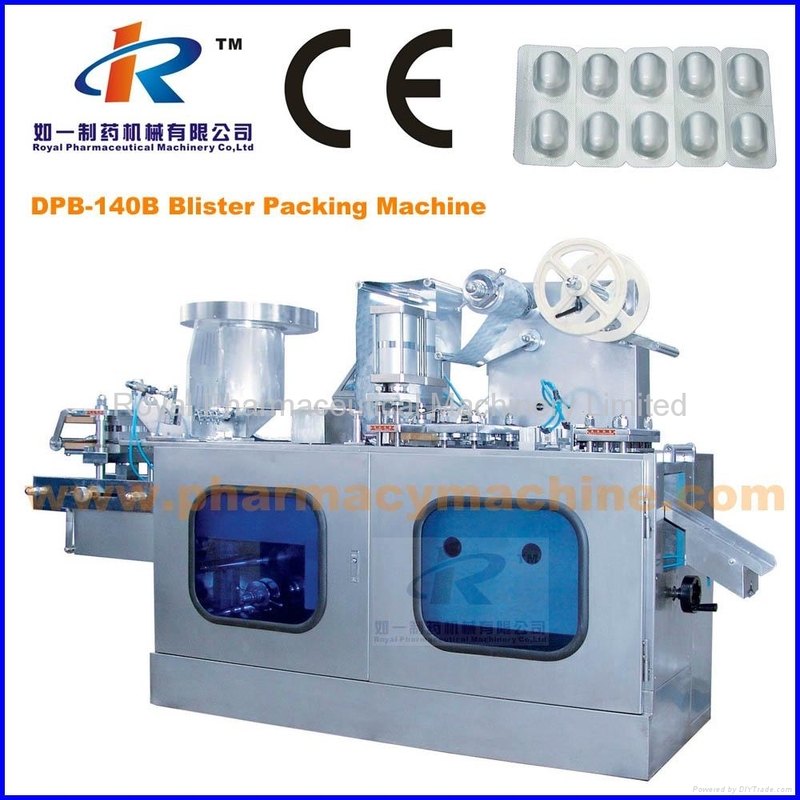 It is an ideal and popular packing equipment with high automation, easy for operation, advanced technology, full purpose, long durability and in accordance with GMP requirement. The products have passed the provincial science and technology appraisal. 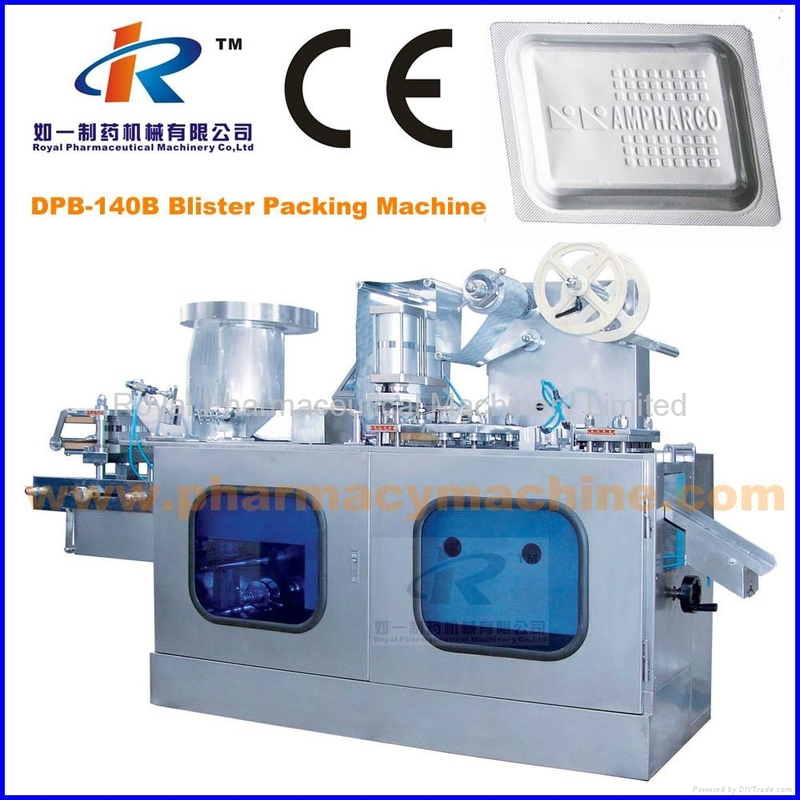 Equipped with fiber-optic or inductive checking mechanism, which can eliminate by itself the waste plate with lack of tablet or other packed material, with recovery rate of 100%. Main transmission part adopts parallel axis and bevel wheel speed reducer, with novel structure, stable running, low noise and long service life. Forming mould, hot-sealing mould and pressing mould adopt bolt orientation, with exact orientation, easy to change moulds and material saving. Heat-sealing station fixed, forming, pressing and cutting spare parts can move freely to adjust the distance and easy to change moulds. Manipulator towing, adjustable travel range, it can be suited for blister packing of various sizes. Flat plate structure can pack special shape products, such as: elliptic shape, square shape, triangle shape etc. 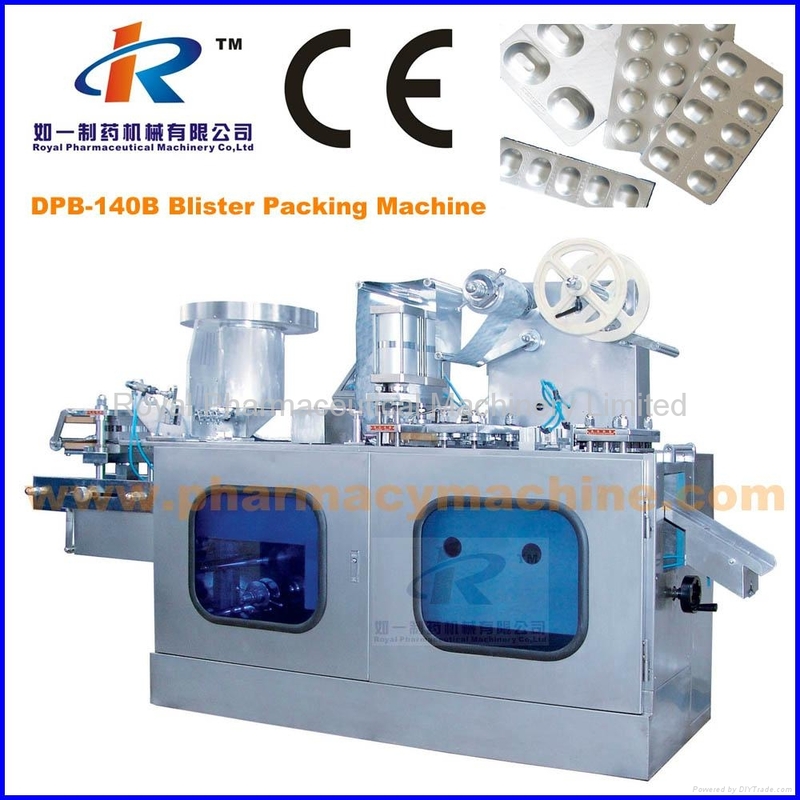 The machine conforms to GMP requirement and is suitable for alu-alu, alu-plastic, paper-plastic packing. ·Eye marking sealing device with sensor trace can be added for option. ·Plexiglas Cover can be added for option.